Are you planning to avail property? If you are a young professional, hardworking OFW, starting a family, on a start-up business, a freelancer like me or regular employee – buying a property for our future needs preparation, sacrifices and planning. All will start in adjusting our finances and regular budget, for us who are earning hard – a piso means a lot. "Sometimes in the buying process we’ll encounter crisis and need of tightening our budget and the best thing is realizing it and takes a plan now". 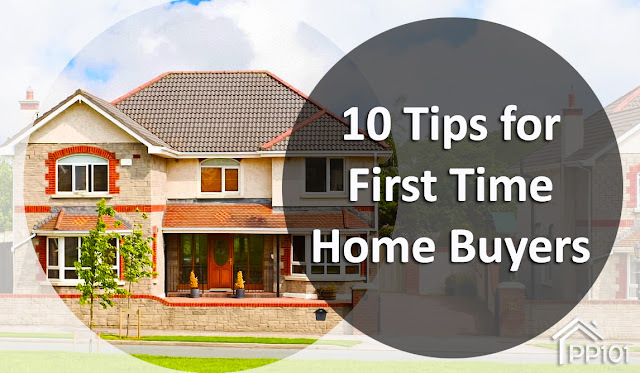 With all the experiences through dealing with clients, here are my 10 tips for first-time property buyers in the Philippines. 1. Take action now! Be persistent with your goal of owning your dream house for your family. I disagree to sayings "lakasan ng loob ang pagkakaroon ng bahay", because it's all about preparation and getting ready for long term investment. 2. Save, save, save! I always recommend to save more and be ready for the long term commitment of financing. The bigger the down payment is the better because it will lower your monthly amortization with bank or Pag-IBIG Financing. 3. Avoid credit! Avoiding credit is a good start with your financing plan. A loan delinquency, been a co-borrower of a loan, a bouncing check, cases of estafa and others may affect a home loan approval. Make sure to ask clearance for paid credit cards with history of delinquency. 4. Prepare your income documents. Being ready will make your buying process smoother; it will enable your assisting agent to give best recommendation and will have a chance to avail of maximum promo discounts along with spot payments. 5. Identify your preferred location and house specification. While budget matters in this investment, the location you are aiming may not be applicable and so you need to consider other nearest locations or other house types available. 6. Look for competitive Broker or Property Specialist. Nowadays, real estate professionals are very accessible online. Just look for some whom you feel you can trust and you feel comfortable to deal with. Websites, Facebook and even Google search are very useful tool to determine once profile and credibility. While relatives and friends are good source of assisting agent, make sure he/she is a licensed professional with PRC and with HLURB Registration for your protection. 7. Analyze all available option. After all property viewing with the help of your friendly broker, now it's time to ask yourself and look back into details of your checklist. Can I afford the required down payment / monthly amortization? Does the location and community offer accessibility to my future family’s needs like schools, hospital, security, accessibility and others? Is the house structure based on standard? Does the project promises a good investment potential? 8. Be pro-active in compliance to required documents and follow ups for the smooth process of loan approval. Added to this, expect a processing fee for home loan with banks. 9. Expect move-in expenses. These expenses may include the move-in fee itself (varies on developers, most of them are included in price), the construction bond and home improvement, the water and electricity connection, village association due and others. 10. Re-check and Secure. Re-check your lot area or unit size if it’s according with the plan or contract. Size really matters, it’s what you are paying for and fortunately most developers are pro-actively paying for discrepancies. On the other hand, secure your house first after turnover because not at all times the security guards are monitoring yours considering of hundreds of houses in the community. Wishing you the best property investment! Thanks for viewing! Please share if you find it useful! Hi Mr. Jerome, I am very thankful for your advice. I will take this chance to ask you if you have advice for buying a Boracay house and lot for sale? I will look forward to your answer. I will subscribe to your website as I wait for your response. Nice blog. Thank you for sharing this information.